Hello Doodlebug peeps! How are you? 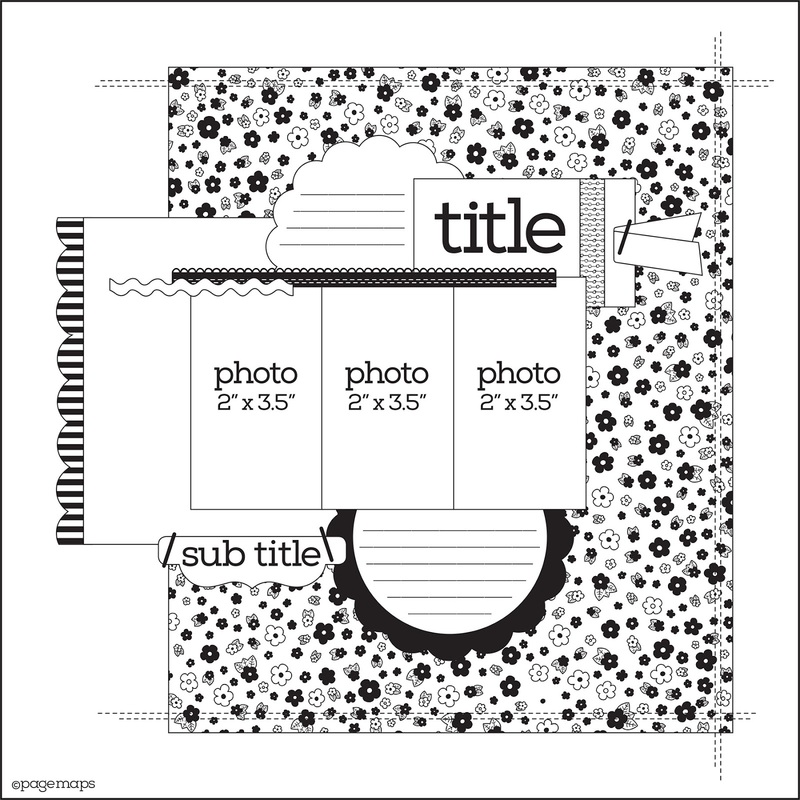 Caroli here to share my take of the fabulous sketch provided by Becky from Page Maps. I used pics from a day I spent at Animal Kingdom with my little daughter and good friends. We had such a blast, it was mandatory to document this day in my scrapbooks. 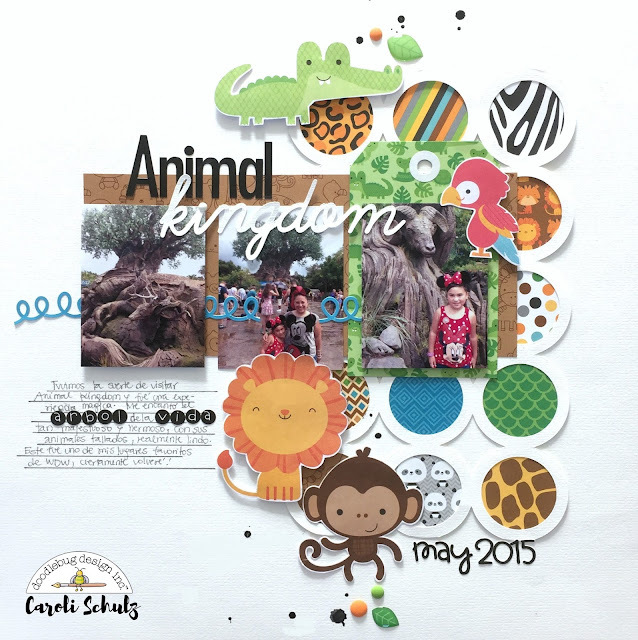 The collection At the Zoo is perfect for documenting these happy zoo moemories, don't you think? 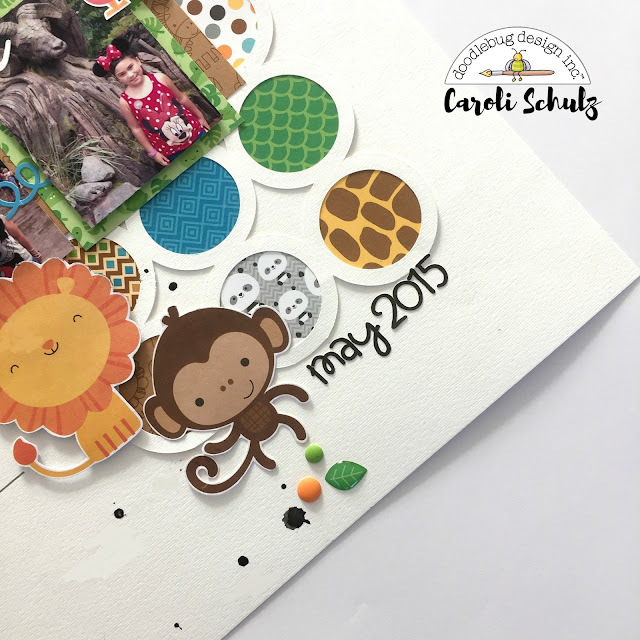 I love the shape sprinkles of this collection, this little glossy leaves are so cute, a perfect detail in my layouts. 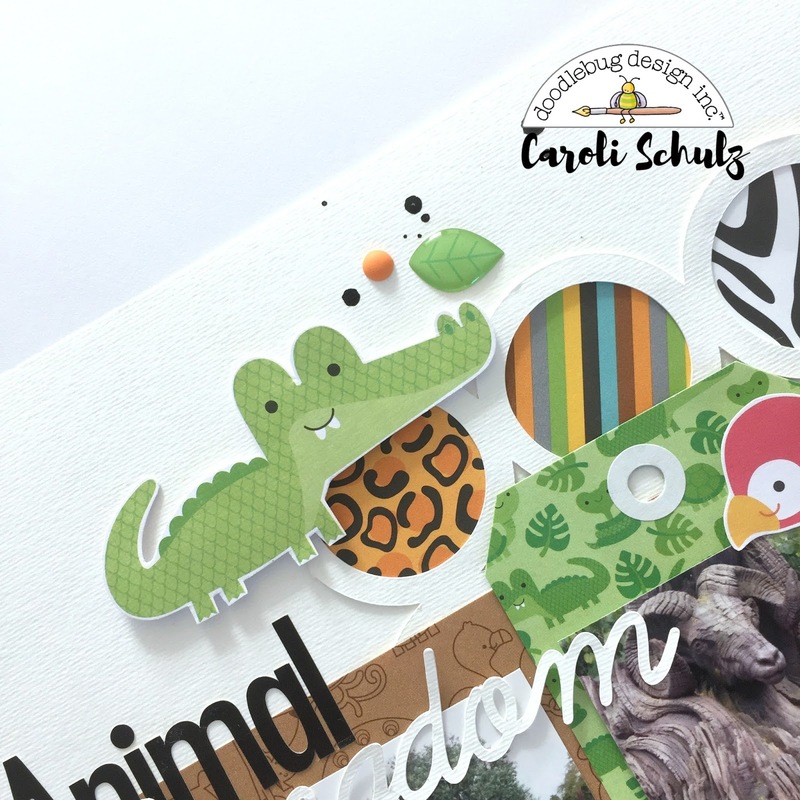 I love all the funny patterns in this collection and couldn't decide which one to use, so I created a block with a circles grid, the perfect way to include lots of patterns in a small space. I also used some of the animals diecuts included on the Odds&Ends package, monkey and lyon are my fave ones! I created my title using Skinny Cardstock Alpha Stickers in black color and a word I cut with my Silhouette Cameo machine. I love combining block letters and handwritten words, it looks pretty and interesting. In this title I used "Learning Curve" free font. I hope you like this layout, I really enjoyed working with this sketch and of course with this cute and happy collection by Doodlebug Design. Big hug! Super cute Caroli! 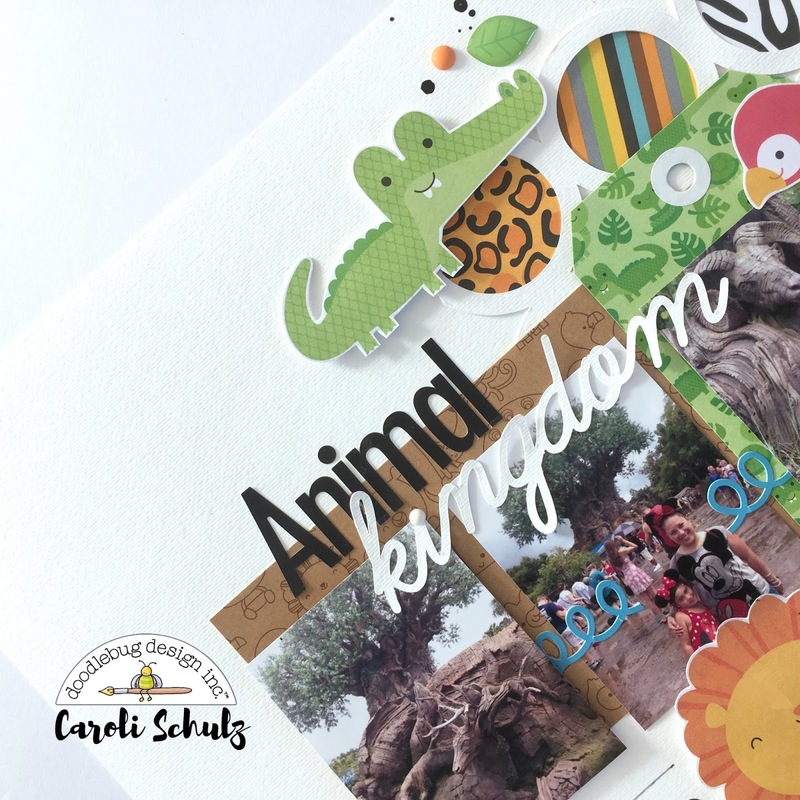 Love the cut file background and the tag with the photo! And I soooo need this collection!